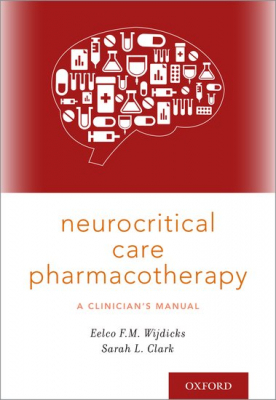 Neurocritical Care Pharmacotherapy : A Clinician's Manual - ubiq bookshop: the best place to buy books! Neurocritical Care Pharmacotherapy: A Clinican's Guide is a practical, succinct but comprehensive pharmacy handbook provides up-to-date clinical guidance on the effective selection, prescription, and usage of neurocritical care drugs for patients with acute neurologic illnesses. The treatment of the critically ill neurologic patient is often difficult, specialised, and includes drugs infrequently used in other intensive care units such as antiepileptic drugs, osmotic agents or acute immunotherapy such as intravenous immunoglobulin and plasma exchange. Featured in the July 2018 Medical newsletter.